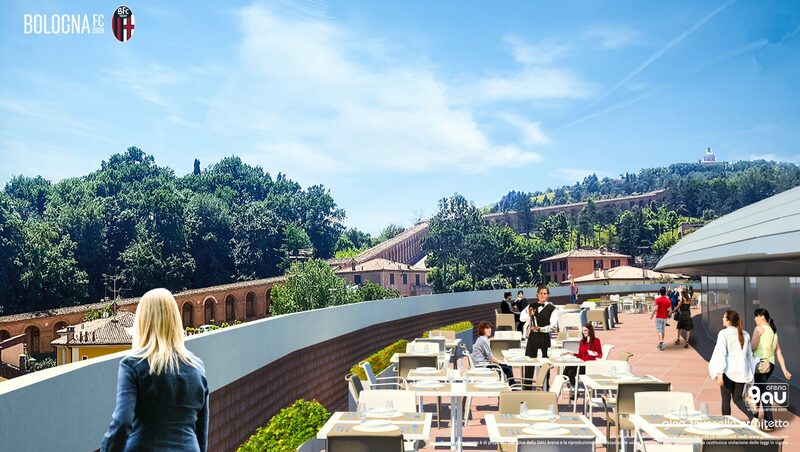 The long-awaited reconstruction of Stadio Renato Dall'Ara will change the stadium's appearance entirely, while respecting its most historic part, dating back to 1927. In order to do this, uppermost sections (built for Copa '90) would be dismantled, revealing the brick arcades currently hidden behind steel expansion. 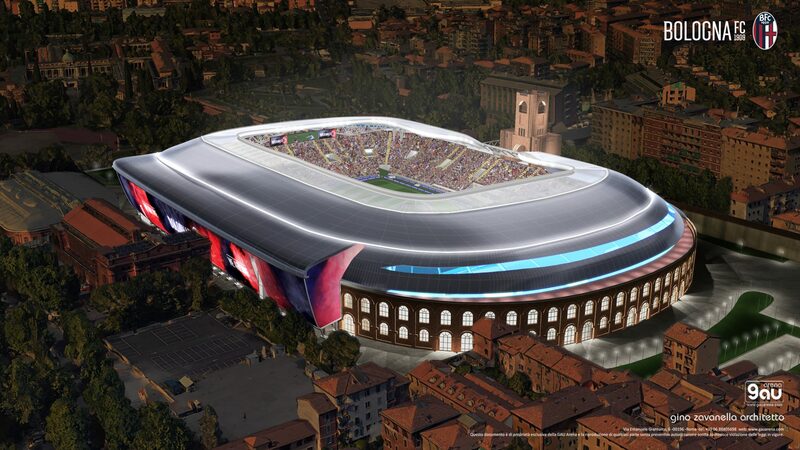 Masonry would then be thoroughly renovated, while inside the stadium a real revolution is planned. 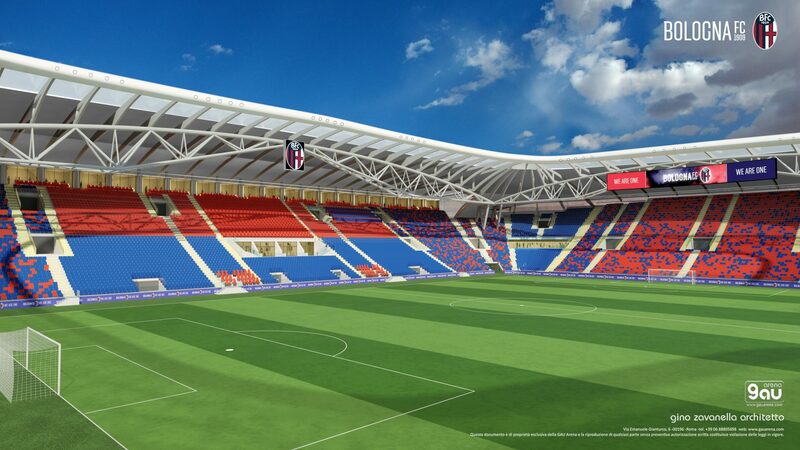 All existing stands would be demolished, with only the main structure of the west stand retained, as it holds most of the required sporting facilities. New auditorium would be erected as a steel skeleton and even in the west change for fans will be massive. Currently the main stand is 18 meters away from the field, while at the new stadium it woud be moved to just 7.5m. This same distance would apply to all other sides of the auditorium. By comparison, at present the front row behind each goal is a huge 43.5-meter-distance away from the field! 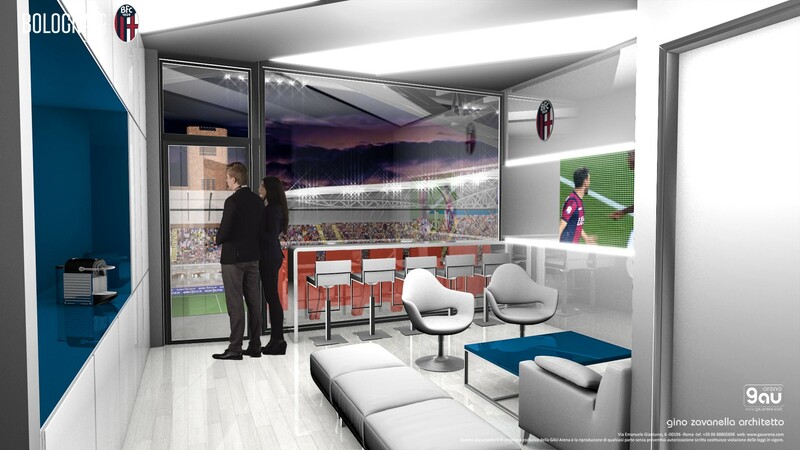 The stands would not only be brought closer to the field but also reduced in size. Currently, with the uppermost parts sealed off, matchday size is 31,000. At the new stadium it would be just under 27,000. This number includes 240 seats in 22 boxes (from 6 to 42 per box), 108 press seats and an away enclosure for 1,345 people. Also, 62 places for wheelchair users are to be spread across all four stands. 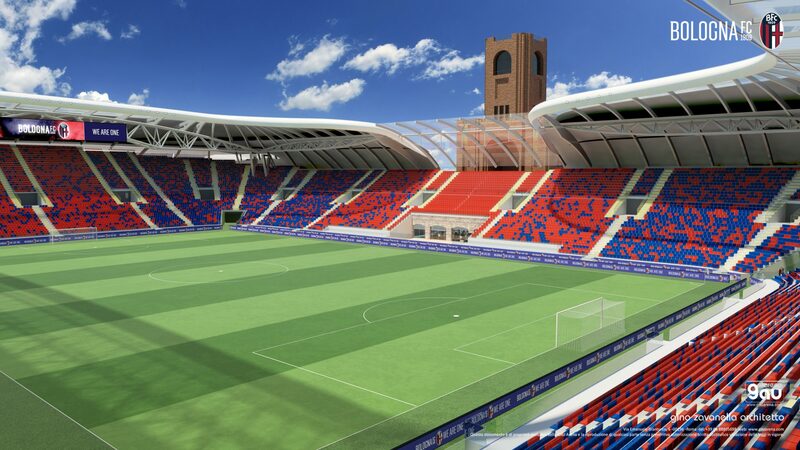 Newly-organised space would see fans enter through 28 gates and take their seats within a 100-meter route. They would leave through the same gates, which facilitates evacuation, supposedly possible within just 5 minutes. The compact auditorium means that a lot of space is created between the field and historic outer walls. 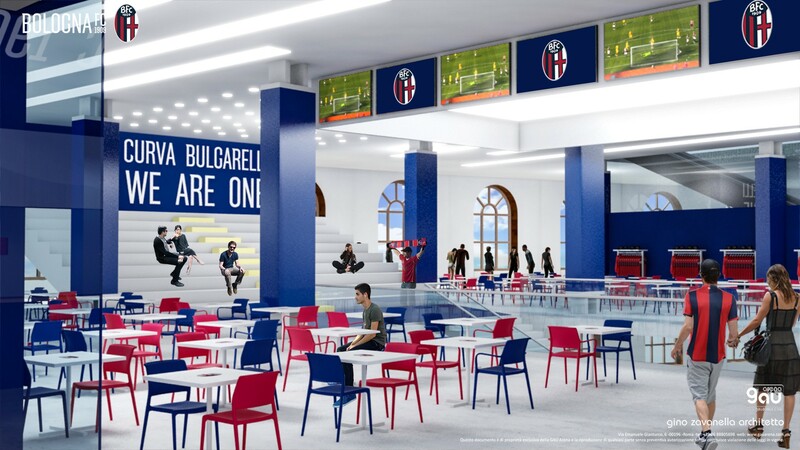 Over 19,200 m2 are avilable for matchday facilities and further 1,160 m2 would be occupied by Bologna FC's museum. Due to the difference between oval and rectangular layouts, as much as 6,000 m2 would be available for non-matchday leisure/commercial use behind each goal, to be used even during games. In the new layout all seats would be covered. The roof would have a unique structure with most of its weight based in the corners. 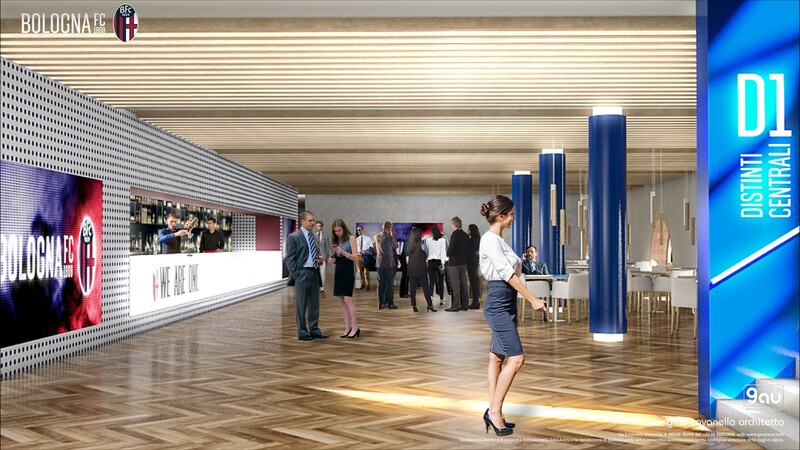 This way it's possible to minimise the structure above east stand. Where only thin cables would support the transparent polycarbonate cladding, revealing the famous stadium tower to spectators inside. Overall the stadium would be covered largely with aluminium, in line with nearby natatorium's existing roof, while portions of polycarbonate would bring more light inside. Also, the cover would be divided into three overlapping layers with openings between them. This way nautral ventilation is ensured. The ambitious connection between old and new is created by GAU Arena, curated by the famous Gino Zavanella. 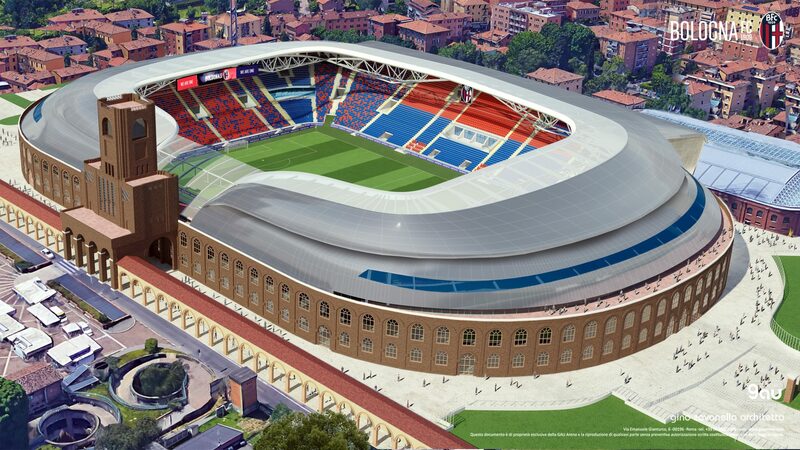 Its implementation should cost €70 million and be carried out at public-private partnership between the city of Bologna (€30m) and the Saputo family (€40m) who own the football club. 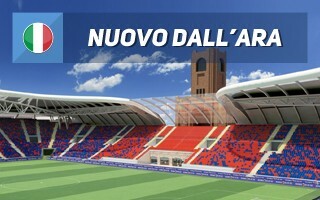 It would be Italy's first PPP stadium project of such scale.